This kitchen was designed for a family that like cooking and wanted a bright, contemporary living space that provided plenty of work surface, state of the art appliances, masses of storage and space to eat as a family. 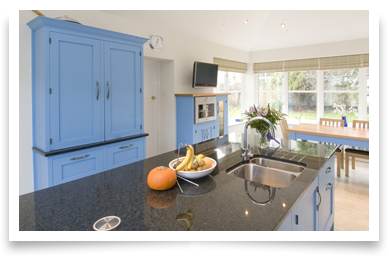 Our handmade painted kitchens can be provided pre painted in Farrow & Ball colours or they can be hand painted on site, giving ultimate flexibility in colour choice and showing a brush stroke finish only achieved on genuinely hand painted kitchens. We also offer a range of bought in doors supplied in a huge array of colours or unfinished for painting on site. 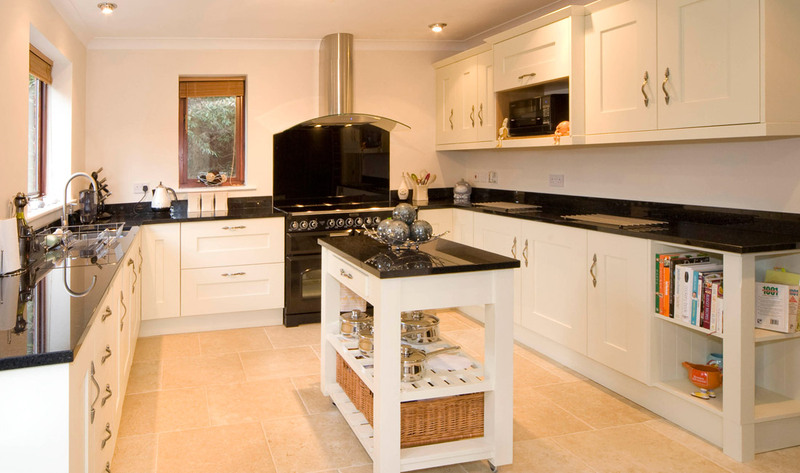 Designed for a young family requiring a more traditional feel, we used pippy oak and some cream painted units to tie in with Rangemaster cream appliances. We also built a brick chimney breast with an oak beam but kept the doors simple to avoid the kitchen looking too traditional and cluttered. 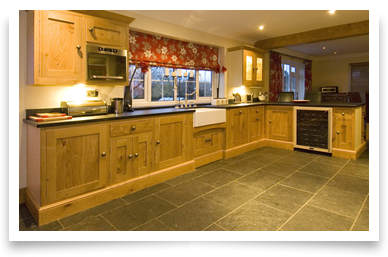 Handmade kitchens can be made in any timber to any specification, you can choose the beading, hinges, mouldings, skirting/plinths and anything else that will make your handmade kitchen completely unique. 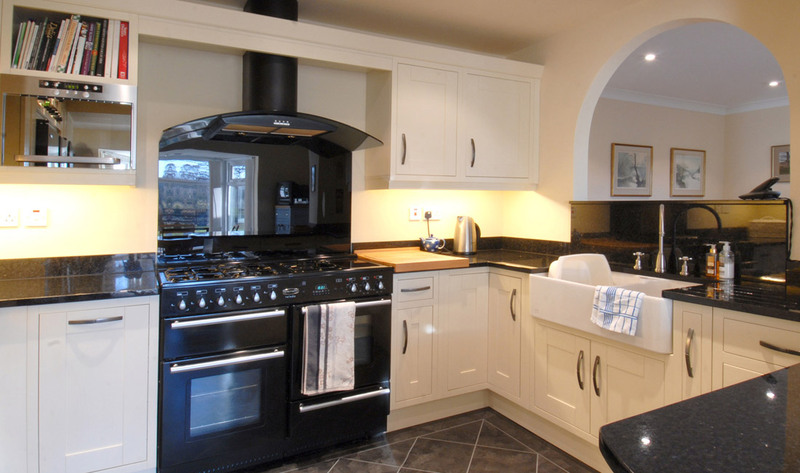 We often mix painted finishes and timber to stunning effect. 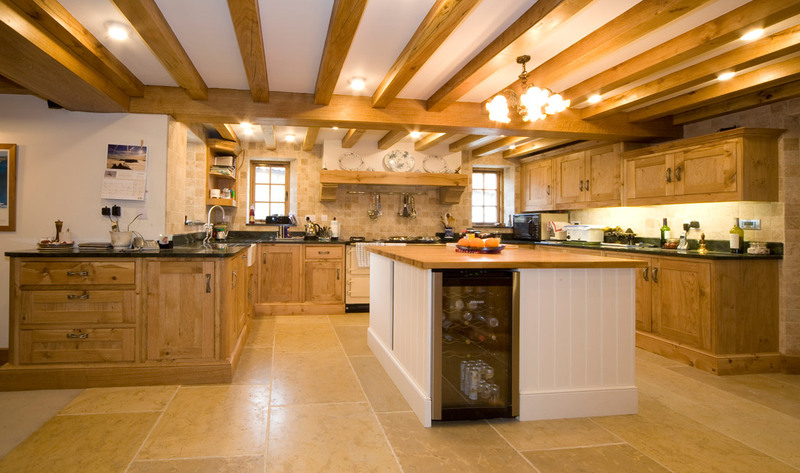 This kitchen was designed for a beautiful old village property and the client wanted a contemporary kitchen that would still be in keeping with the rest of the house. We designed a sleek kitchen with oak veneered doors using drawers and curved doors, keeping the units at base level only to provide a clean minimalist look but added a handmade mobile butcher’s block in oak to complement the more traditional pieces of furniture in the room and provide additional work surface and storage. 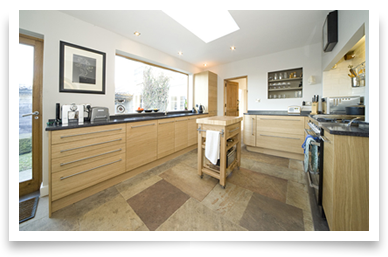 We regularly apply our experience and design expertise to provide more contemporary kitchens in sleek, gloss or slab doors worthy of any German kitchen supplier! 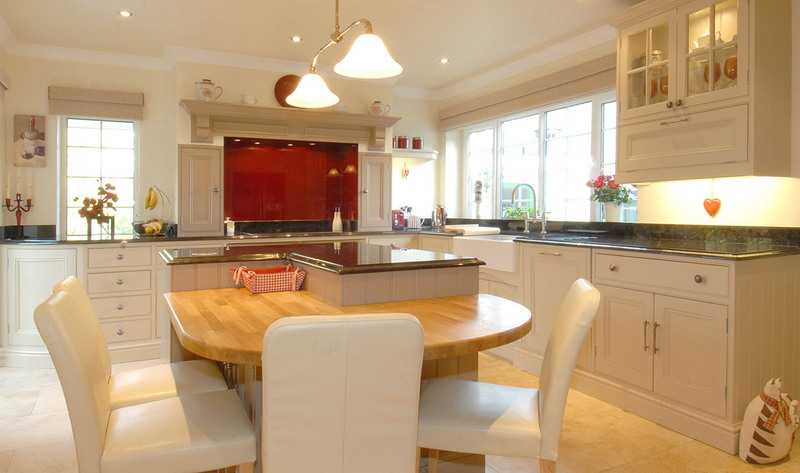 All our kitchens are fitted by experts and designed by the same designer with the same attention to detail whether traditional or contemporary. Storage required and plenty of it! 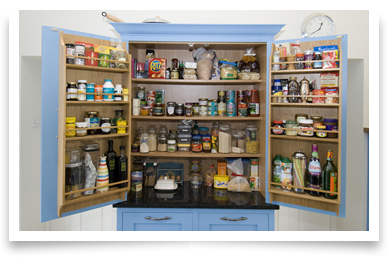 Increasingly we are supplying free standing handmade pieces to complement existing kitchens or to add to our bought in ranges to provide an unfitted, handmade look whilst still keeping the costs down.